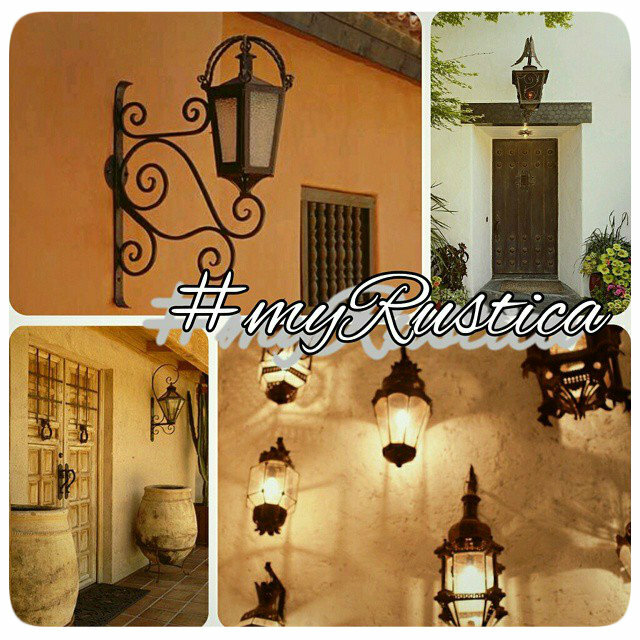 Installing Rustica House iron chandelier is a great idea for upgrading living room or house foyer. The chandeliers are handcrafted in a variety of sizes and color options. Most often used finishings are natural rusted wrought iron, black iron and natural. The last one is kind of industrial looking while rusted corresponds best with rustic home decorations including colonial hacienda style. We use acid to accelerate natural oxidation process and then spray the iron fixture with clear varnish. It prevents further ageing and makes the forged iron chandelier easy to clean from settling dust. Most forged iron chandeliers unless advertised otherwise on the product pages are equipped with electric fixtures and wiring Some illumination fixtures are furnished with decorative domes made of rustic glass and stone. Use of a licensed electrocution for the iron chandelier connection is recommended.